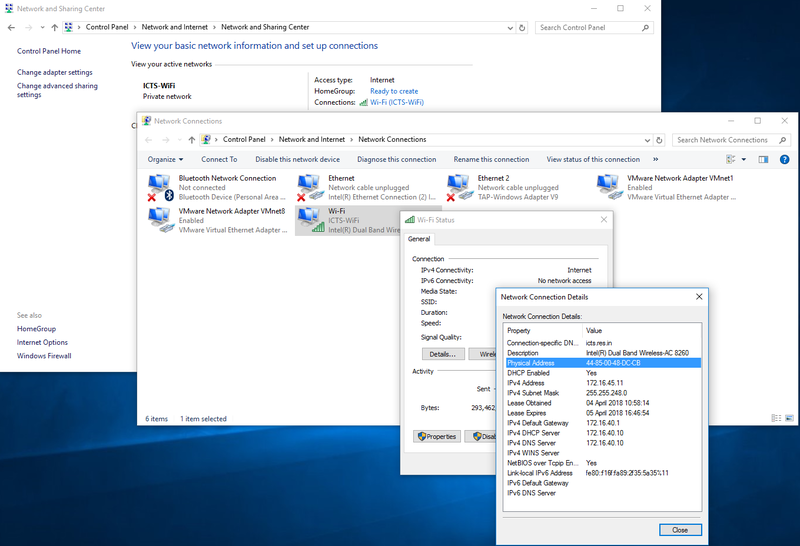 Before any wireless mobile device (smartphone, laptop or tablet) can establish an Internet connection via the network at ICTS, its network adapter(s) hardware (MAC) address must be registered with ICTS-One-Account. To register the MAC address you must have either a valid ICTS-One-Account, or for those who don’t have ICTS-One-Account, you may use the Guest Registration system. A MAC (Media Access Control) address is the hardware address of the Network Interface Card (NIC) of your computer. You must have it on hand to register for the ICTS campus WiFi service. This Web page will help you locate and identify it so you may register your Network Interface Card (or cards) for the network. You can register up to four wireless-enabled devices with ICTS-One-Account. If you need to exceed the maximum number of registered devices permitted, contact IT team. Log in to your ICTS-One-Account, using your credentials. After adding your Mac Ids, scroll down and click on Save button. 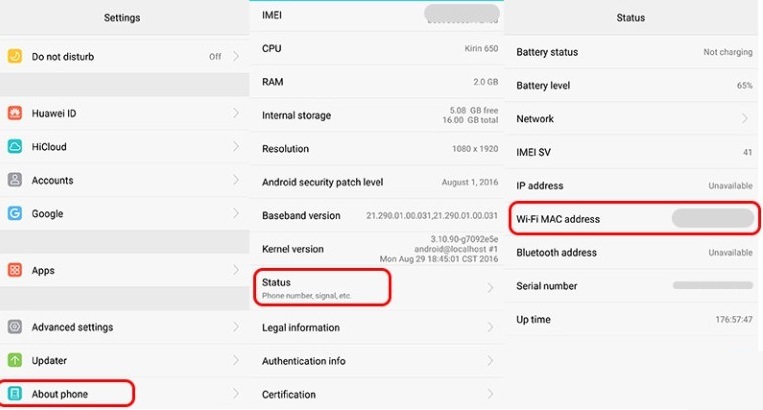 The wireless ethernet devices are called wlan0, wlp1s0, wlp2s0 and so on; The MAC address is in the first line of the output, labeled HWaddr (it will look like cc:ff::aa:bb:11:ee). Click on Start button. Then type cmd in Search field. Click on cmd to open console window. Then type getmac /v and press Enter ↵. Select AirPort or Wi-Fi from the list on the left. 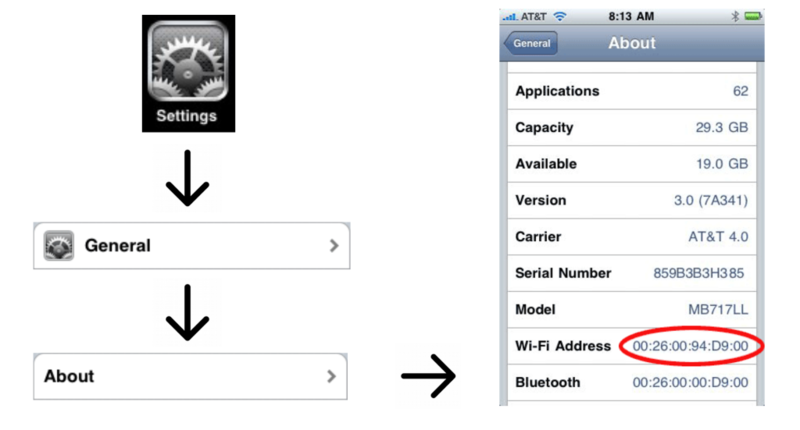 The Wi-Fi MAC Address is located toward the bottom of the screen in the Device Info section. From the Home menu, tap on Settings. Scroll down to Wi-Fi Address and write down the address. This is your MAC address.